What should be in any respectable witch’s cottage?? Her broom, hat, and spell book of course! But what is in all the nooks and crannies? Potions and lotions, how-to books and magical herbs…..and don’t forget the goblin earwax, French knot powder and eye of newt! 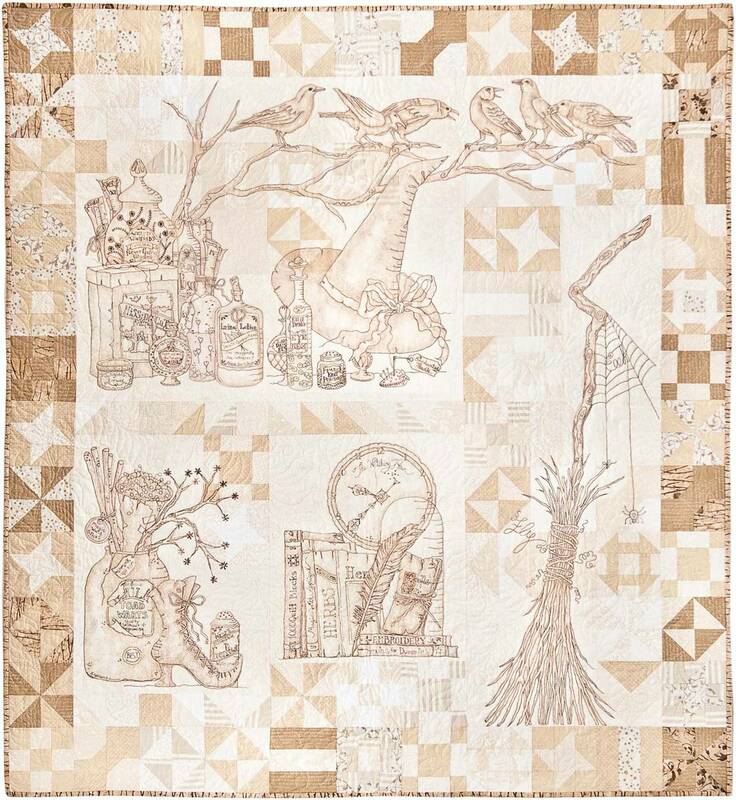 This embroidery is chock full of amusing imagery and is crayon tinted to mimic vintage photographs, all set on a tone on tone pieced background. So much FUN!